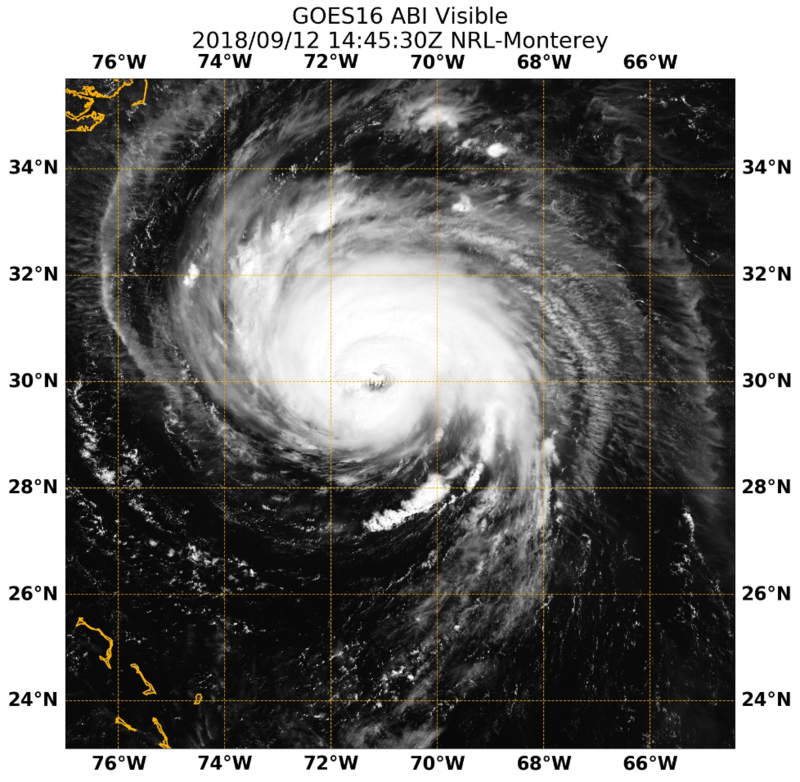 As Hurricane Florence approaches the East Coast, locations from the Outer Banks southward to Charleston will feel the effects of this category 3 storm. 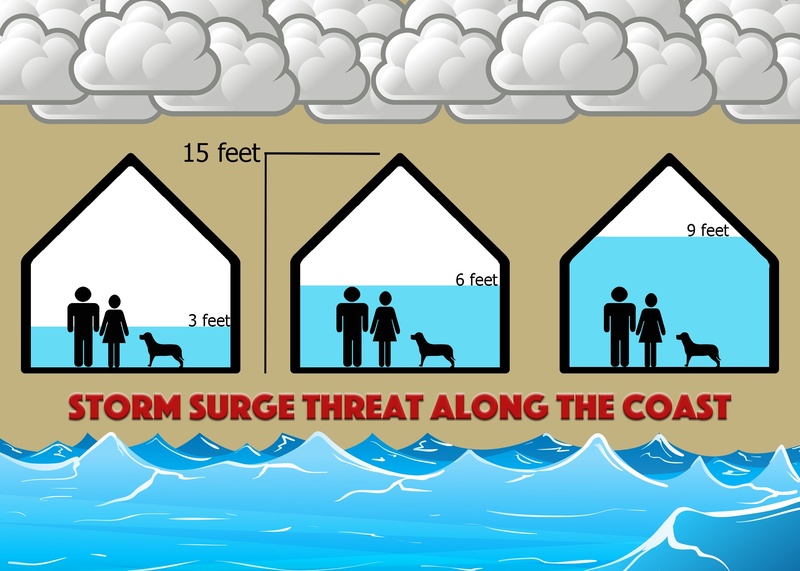 The threat from inland flooding and storm surge will increase if the storm stalls on the coastline as it will weaken slower if the core remains offshore. WeatherOps is forecasting Florence to become trapped to the south of a broad ridge of high pressure causing it to move very slowly or stall before turning to the southwest along the coast through Saturday. However, there is still significant uncertainty in the forecast due to this unusual track and uncertainty about when and where Florence will move inland. Anyone within the cone is at risk, but those from Wilmington to Charleston need to be prepared for this major hurricane to cause damage along the entire coastline in this vicinity. Life-threatening storm surge is possible along a significant portion of the coast from Myrtle Beach, South Carolina, northward to Albemarle Sound, North Carolina. The highest surge is currently projected to occur from Myrtle Beach northward to Pamlico Sound. This threat increases if the hurricane sits along the coast before coming inland. Water will be pushed into the various sounds with nowhere to go but up until Florence moves away. 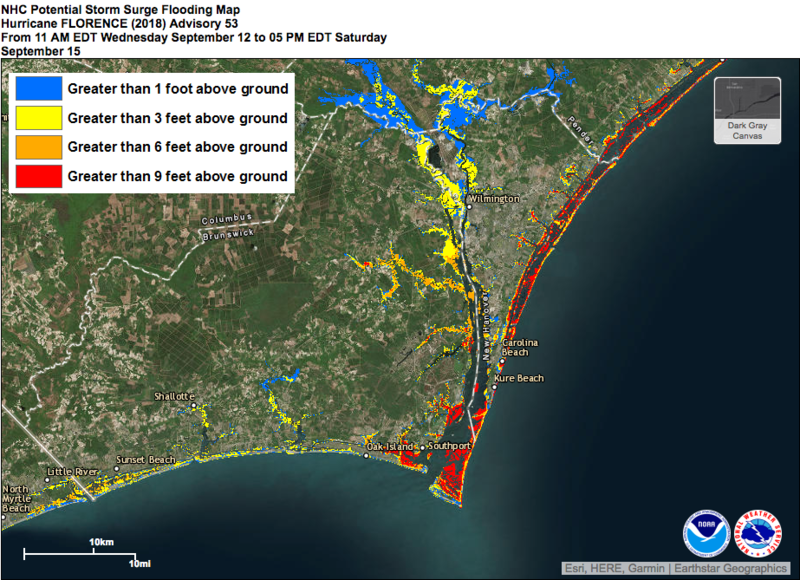 Cape Fear, Southport, and other areas shown in red on the map above could have greater than 9-feet of water above ground. Areas in orange denote upwards of 6-feet of water while yellow shows 3-feet. This amount of water will inundate many homes. Those who choose not to evacuate need to be prepared to leave lower levels of their homes. 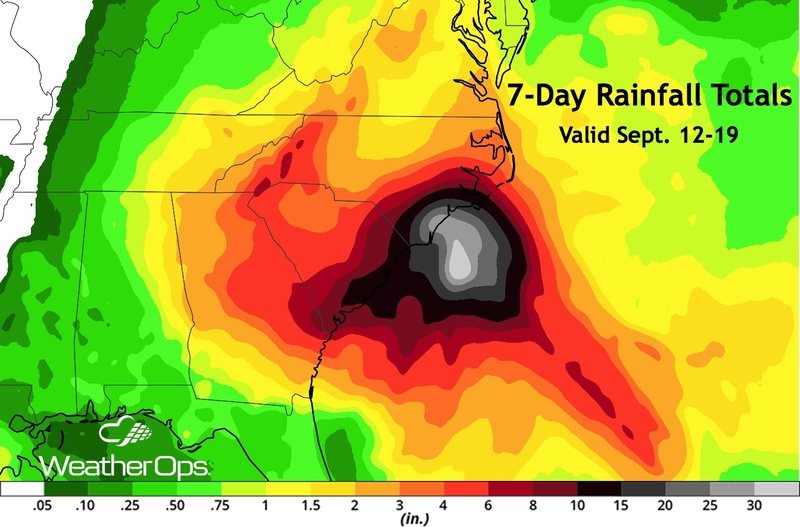 Extreme rainfall and significant-to-record flooding is an increasing threat for much of southeastern and south-central North Caroling westward into central South Carolina, especially in the Wilmington area. Some areas may receive up to 25 inches of precipitation as the hurricane stalls. A large portion of the coast is currently under evacuation orders, and contraflow is occurring on many highways to aid with this process. 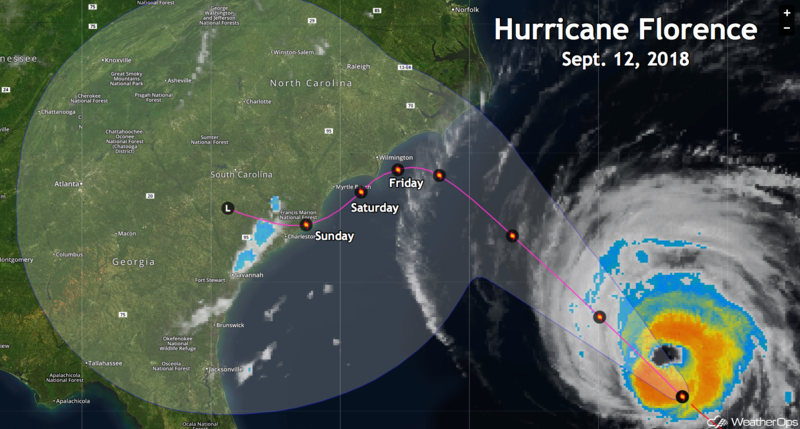 This will be a multi-day event, and those living in the Carolinas down to Georgia should be prepared for an extended power outage. Make sure you have multiple ways to get weather information.